Designed for passive humidifiction applications in anesthesia, respiratory care and critical care. Combined HME and viral-bacterial filter increases efficiency and reduces weight and dead space. Highly efficient bacterial-viral filer protects patients and equipment from bacteria and viruses. Hygroscopic membrane traps maximum amount of moisture and reduces the need for active humidifiction. Tethered cap keeps gas monitoring port sealed while not in use and prevents misplacement. Minimal resistance/pressure drop increases air flow. Universal ISO 5356 connectors (22M/15F, 22F/15M) ensure compatibility with different ventilator and anesthesia systems. HydroMax is free of latex, PVC, DEHP and BPA. Supplied Clean and individually packaged for a single patient and single use. 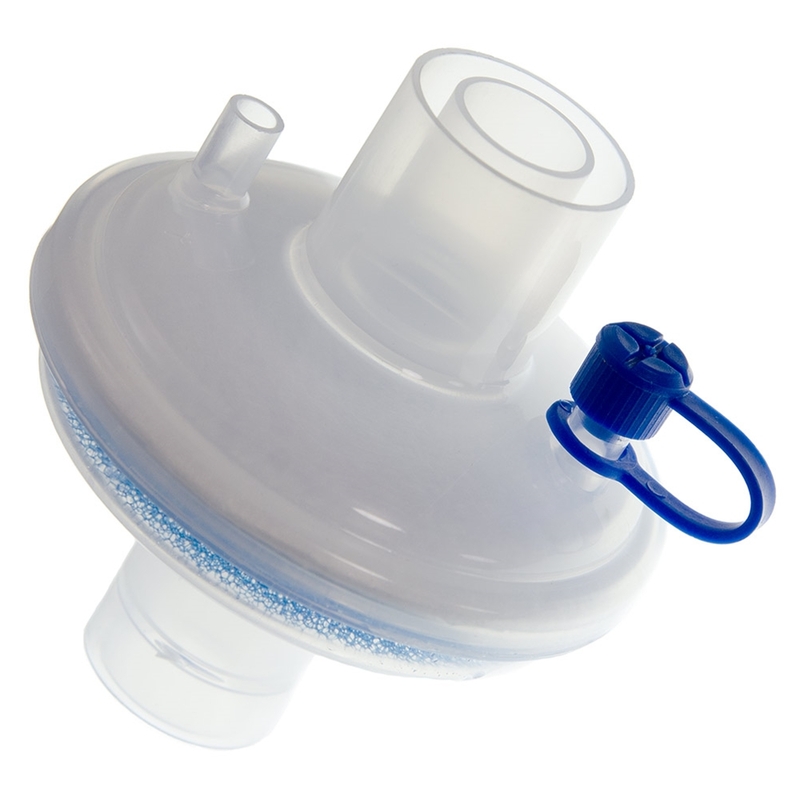 HydroMax™ and ViroMax™ may be combined in custom-configured breathing circuits to meet your needs.